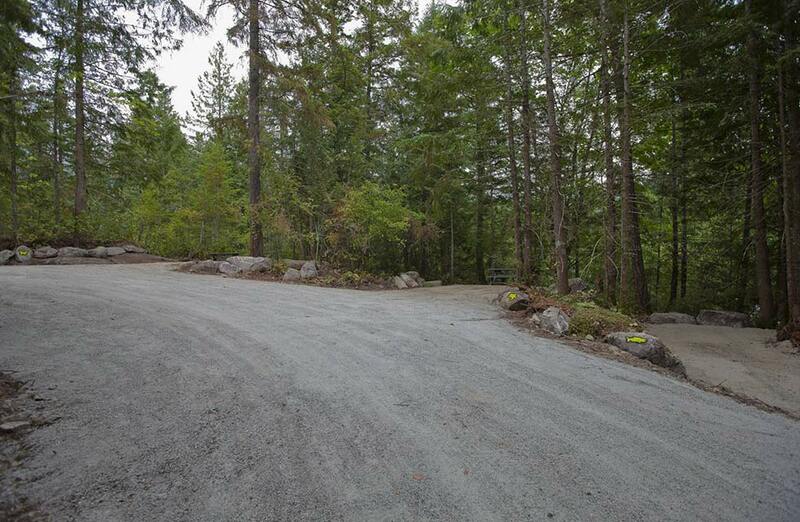 Welcome to the Stonewater — your place to call home while you visit Pender Harbour on the beautiful Sunshine Coast. We invite you to join us for some quiet time in cozy and rustic surroundings, or to bring friends and family, fire up a complimentary barbecue and play horseshoes or bocci ball on the lawn. 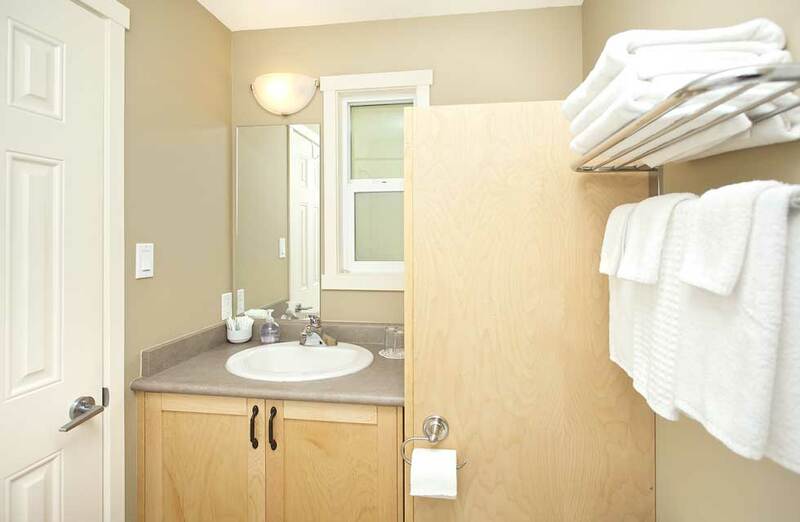 We supply everything you need to relax and feel at home away from home... fully-equipped kitchens, flatscreen TVs, patio decks with tables and chairs, queen-size beds with comfy duvets, and more. 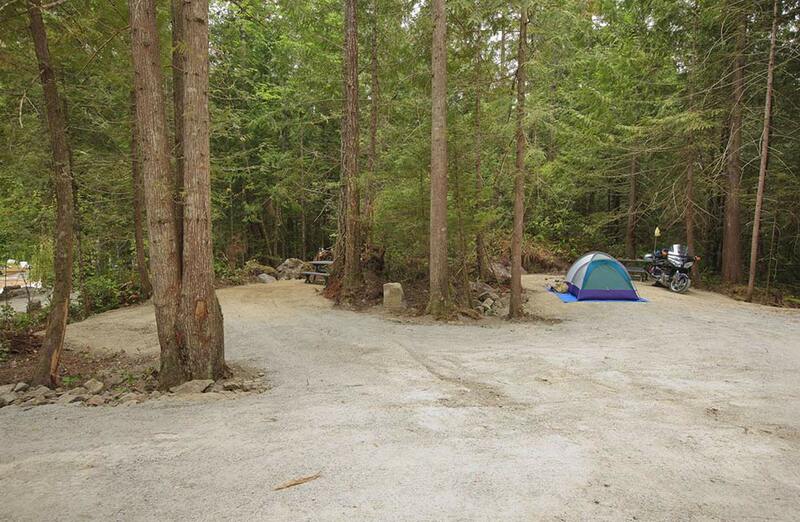 If you're traveling with your own accommodations, ask about our newly-opened campground. 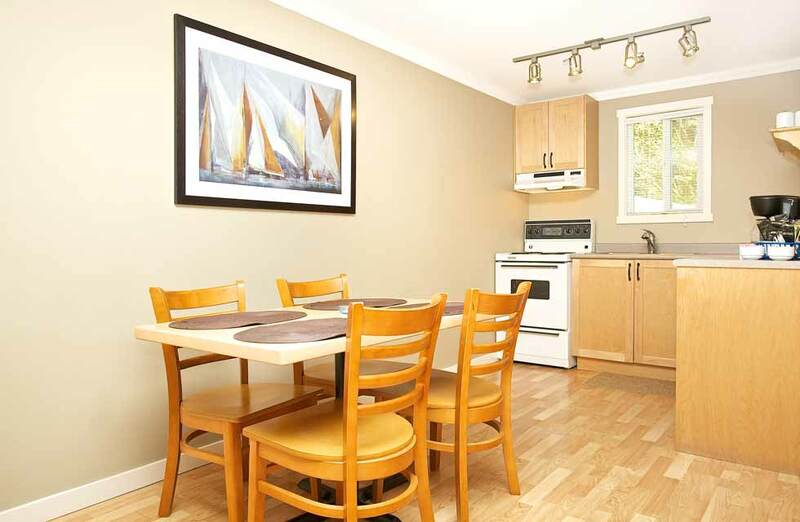 Centrally located in Pender Harbour, we offer easy access to all area attractions, including hiking trails, freshwater lakes, parks and marine parks, shopping, galleries, and beaches just 15 minutes away. 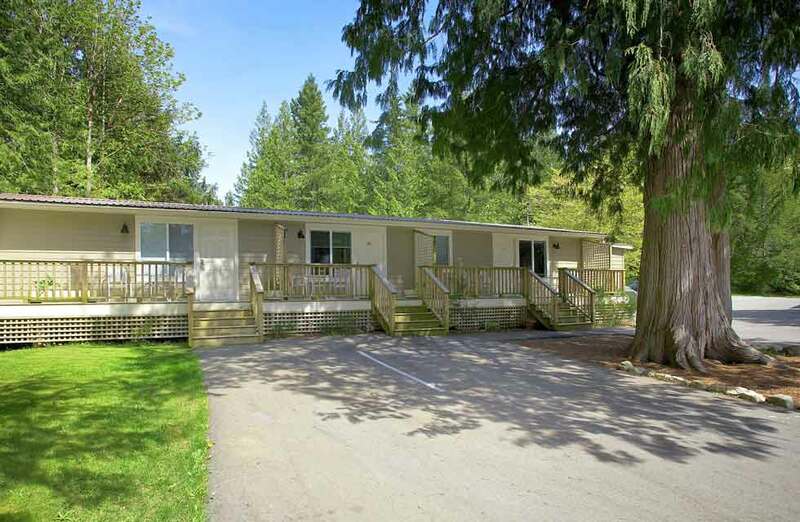 There is a health clinic, pharmacy, government wharf, and float-plane dock in the nearby village of Madeira Park, and the last gas station on the north end of the peninsula is less than a city block away. 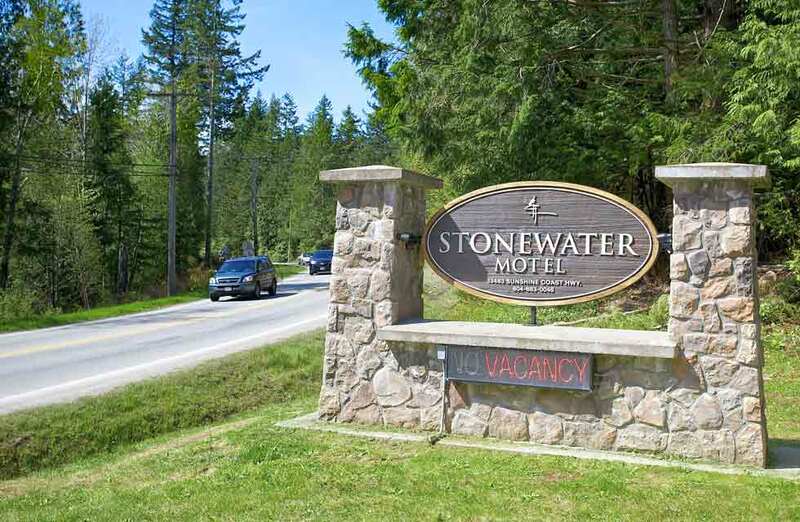 Whatever brings you to the Sunshine Coast, deciding where to stay is easy: come home to the Stonewater. 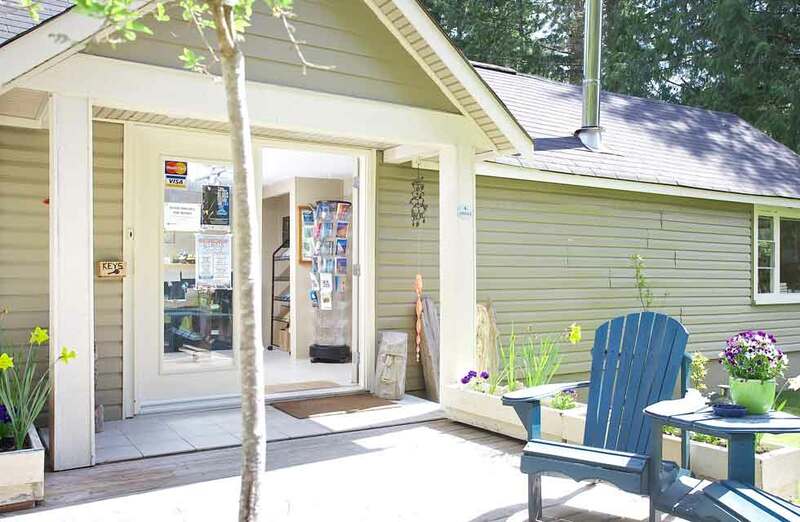 We are conveniently located along the Sunshine Coast Highway (Hwy 101) in Pender Harbour. Highway 101 connects communities along the coast, running from the ferry from Vancouver to the ferry to Powell River. The ferry from Vancouver leaves from the Horseshoe Bay terminal (take the Trans-Canada through West Vancouver) to arrive at the Langdale dock 40 minutes later. The winding drive up our Coast is interesting and picturesque. You can reach us in an hour, but do take a bit of extra time to explore and enjoy the cafes and restaurants, shops and galleries, beaches, parks, and marinas along the way. Don't forget your camera! The ferry from Powell River docks at Earl’s Cove after a stunning passage of 50 minutes. From there it's a 30-minute drive to us. If you’re running low on fuel, gas up in Powell River because there isn’t another station until you reach the one near us. The road from the Earl’s Cove terminal is twisty in spots, so drive with extra caution if it's your first time. Snuggle under the duvet and sink into a good night’s sleep on a queen-sized bed or put your feet up to watch your favourite show on the flatscreen tv. Your room is stocked with lots and lots of coffee, tea, decaf, sugar, and cream, so splurge! If you feel like cooking, go ahead, or have an outdoor barbecue. Don’t stress about the dishes right away, ‘cause there are more than enough. Laundry? We have onsite laundry services too. You're on vacation, so rebel, recharge, and relax! 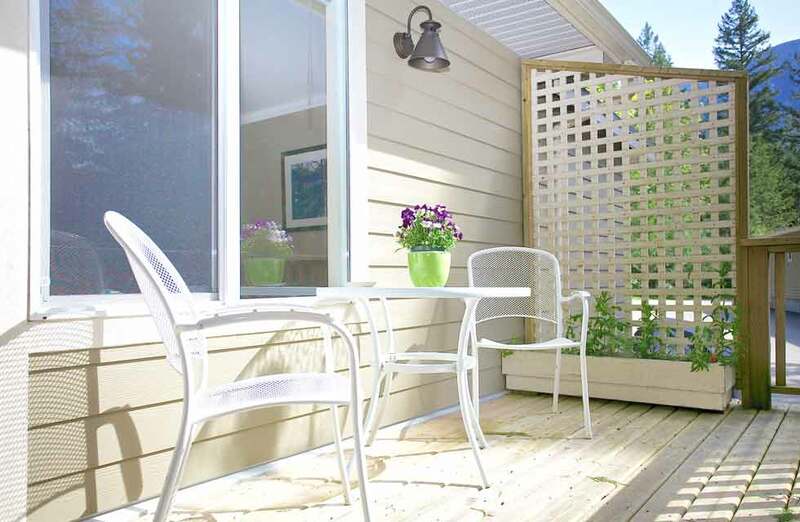 How about lounging on the patio deck or scrunching your toes in the grass that’s right off your deck? We’re pet-friendly (and children-friendly too!) so bring your furry family member along to let them scrunch their toes in the grass too. 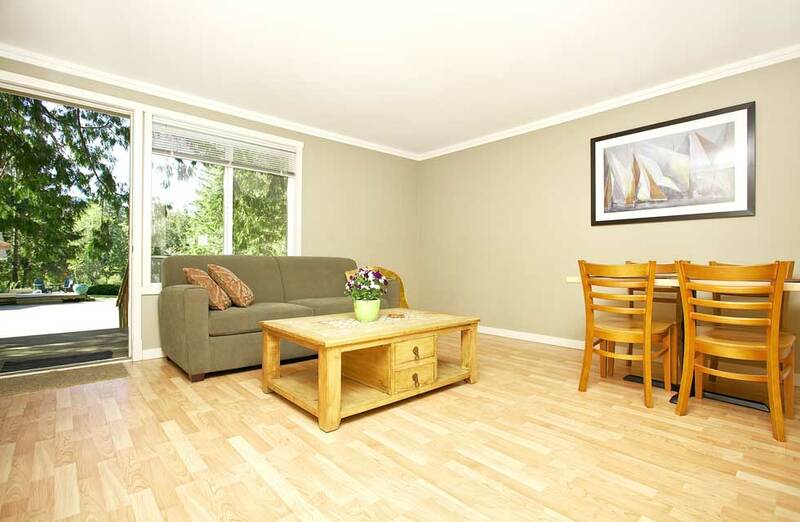 All quiet, friendly, and supervised pets are welcome for $15 per night. We offer discounted Senior, Commercial, Large-group, and Extended Stay rates. Ask us about our special, mid-week rates. 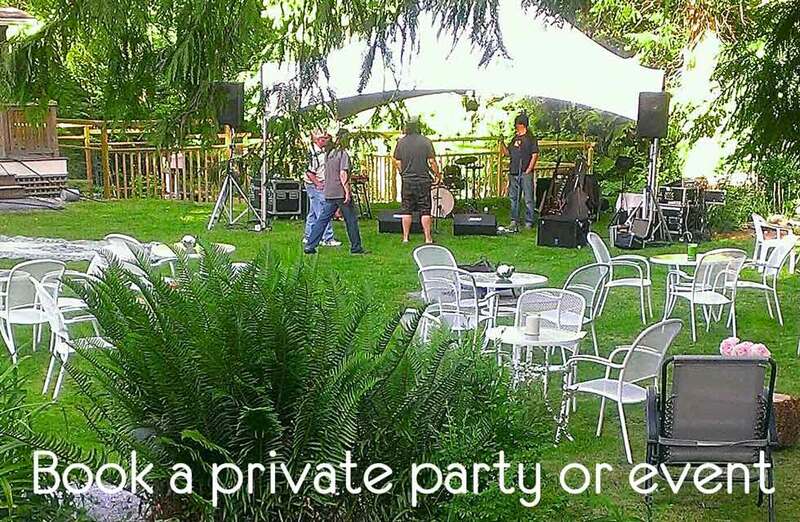 We are perfectly suited for large groups, with grounds ideal for parties, reunions, weddings, other celebrations, and dancing in the moonlight. Our experienced Event Planner will be happy to assist you. Sleeps four comfortably (cot available for extra guest). 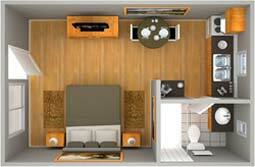 Features a separate bedroom and fold-down sofa-bed in livingroom. Rates based on four-guest occupancy; taxes not included. Additional guest: $20/night, includes cot and towels. 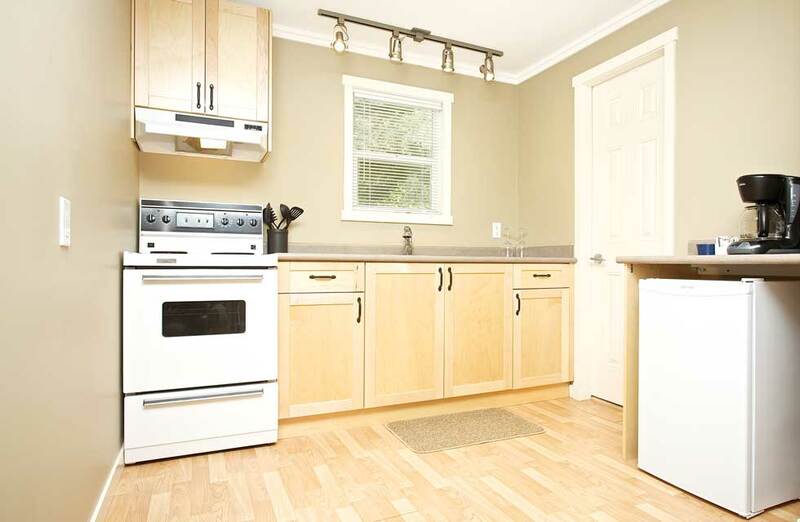 • Fully equipped kitchens with a mini-fridge, four-element stove, and oven. • Full-sized coffeemaker, Keurig with recycled pods, coffee, decaf, tea. • Private deck with patio tables and chairs. • Shower in each suite. • Pet-friendly for quiet, friendly pets. • Complimentary books, board games, and cards available. • Complimentary bocci and horseshoes available. Rates based on double occupancy; taxes not included. Seven days' cancellation notice is required during the high season; 24 hours cancellation notice is required in the slow season; 30 days cancellation notice is required for large-group bookings. Online bookings, in whole or in part, are strictly non-refundable. The full rate is charged for no-shows (non-arrivals) and early departures. Our rooms are smoke-free, but smoking (including 420) is permitted on your deck. Pets must be quiet, friendly, and with you at all times. Please clean up after them, and do not allow them on furniture or beds. The Slo-cat Harbour Tour is a great group or family outing in calm, protected waters. Be wowed by Pender Harbour's spectacular scenery, and learn about the area's rich history, from First Nations settlements to the eras of logging and fishing. Enjoy up-close wildlife viewing opportunities, and unique views of old and new west-coast architecture. All boats are wheelchair accessible, and we're happy to book a tour for you. Are you interested in fishing or more marine sightseeing? Check out Gulf Rascal Charters or let us organize your charter. Gulf Rascal offers fishing charters, eco tours, water taxi service, and freight transport. The best trout fishing in the area is just minutes away, on nearby Garden Bay Lake and Hotel Lake. 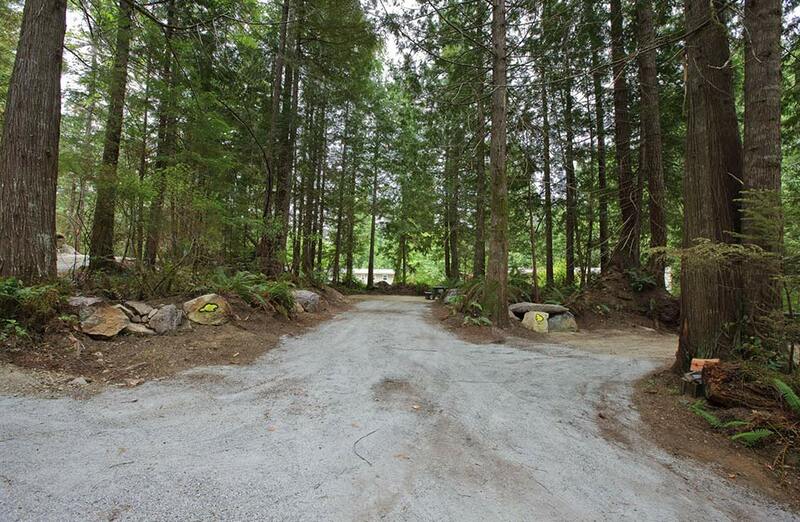 Let us know if you’d like us to book a tee time for you at the Pender Harbour Golf Course, a scenic and challenging, public nine-hole course featuring narrow, tree-lined fairways intersected by salmon-bearing streams and large ridges. The course also has a driving range, restaurant, and pro shop. 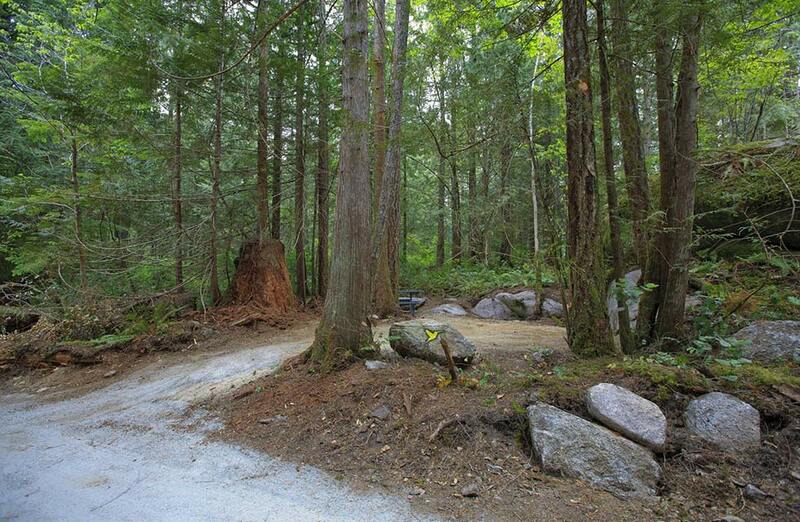 If you're any level of hiker, you'll be happy to hear Pender Harbour is known for it's many parks and trails. 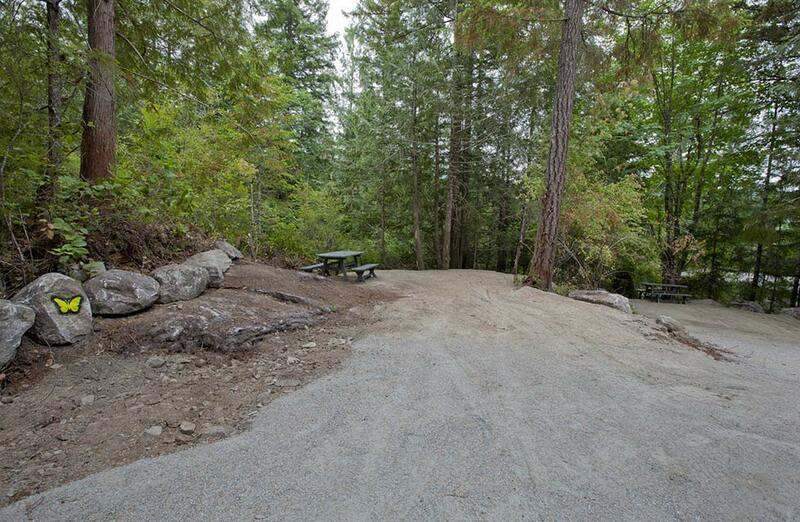 Pack a picnic lunch to visit John Daly Park around the corner on Garden Bay Road, or take a stroll through the Lions Park trails near the golf course just up the Sunshine Coast Highway. Hike to the top of Mount Daniel (about 40 min.) for the best views of Pender Harbour at an ancient site for shishalh native Indian puberty rites. 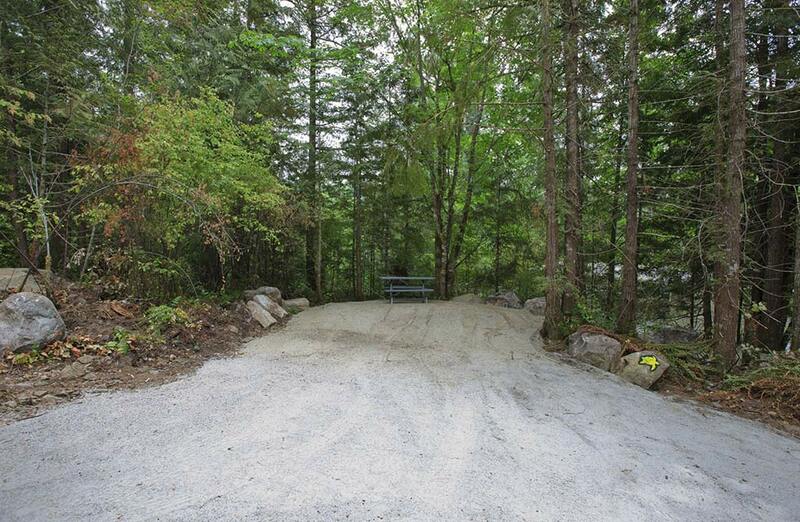 Access the trail entrance just a few minutes away on Garden Bay Road. 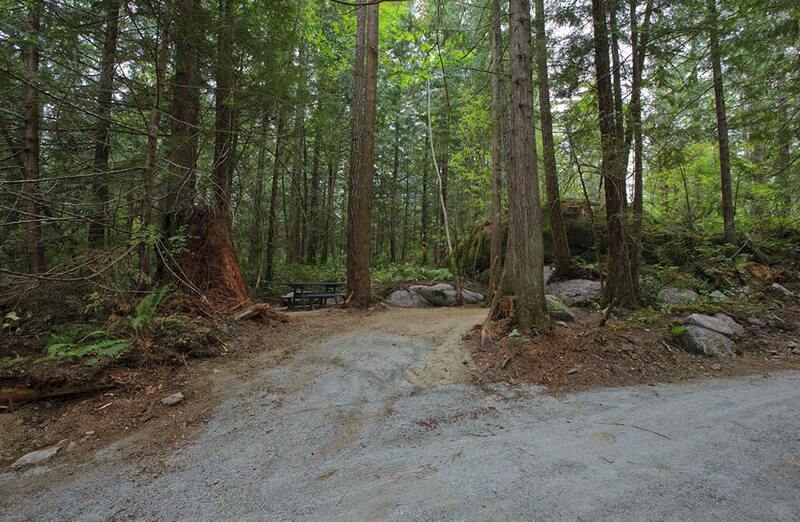 Ask us for more detail about other trails and parks to explore. Night life? Pender Harbour isn't really known for its wild parties, but only a few minutes' drive away, the Grasshopper Pub, Mad Park Bistro, and Pender Harbour Music Society's performance centre regularly feature excellent live entertainment, and the Legion holds a fun meat draw every Saturday afternoon. Ask us about other activities, festivals, and local events happening during your stay. The Pender Harbour Blues Festival in early June showcases big-name blues artists at a variety of paid and free venues. The Pender Harbour Chamber Music Festival in mid-August features fine classical artists from around the world. The Sunshine Coast Art Crawl is a tour of local studios and galleries, with an opportunity to meet and visit with the artists, and watch them at work. 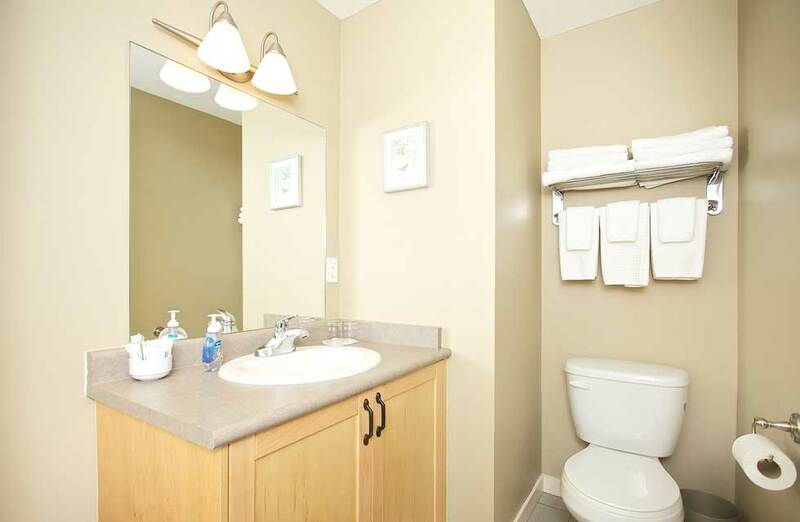 Here at the Stonewater, we are pleased to display some of their works in our suites. Please ask us for the next tour date or pick up a brochure in the office. • Java Docks, 604-883-0026, downtown Madeira Park ~ Made-from-scratch items, organic coffee, and scrumptious all-day breakfasts. Open at 6 am, they're perfect for the get-up-and-go crowd. Shelley appreciates advance notice for large groups. • Grasshopper Pub and Restaurant, 604-883-9013, Hwy. 101, Madeira Park ~ Local favourites, ethnic dishes, and family recipes, plus a gorgeous view of the water and spectacular sunsets. • Mama's Japanese Kitchen, 604-883-9190, Harbour Spirit Centre, Madeira Park ~ Top-notch, authentic Japanese cuisine. • Mad Park Bistro, 604-883-2223, Harbour Spirit Centre ~ "Crazy good food" from a menu kept short and sweet. 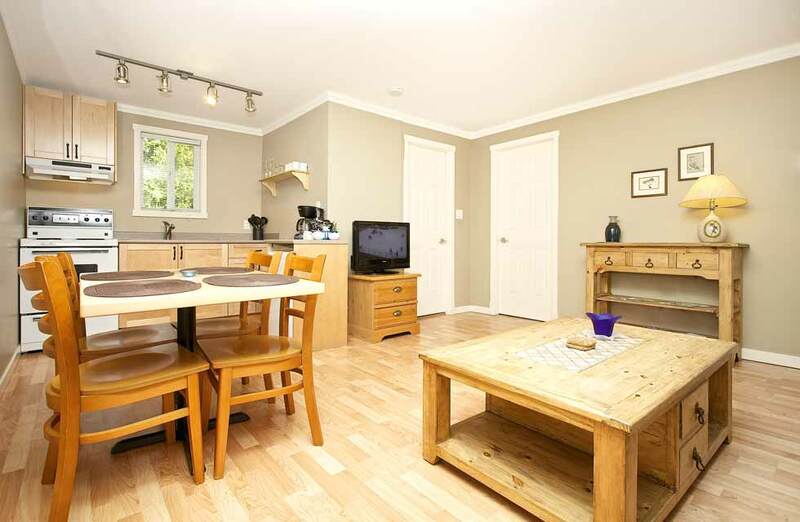 • Back Nine Bistro, 604-883-9542, Pender Harbour Golf Course, Hwy. 101 just down the road ~ Features a large patio deck, offers burgers to steaks, and the public is welcome. • Lagoon Restaurant, 604-883-2456, Painted Boat Resort, Lagoon Road, Madeira Park ~ A casually elegant restaurant overlooking the harbour. Dinner reservations recommended. • La Trattoria Italiana, 604-883-2269, Hwy. 101, Ruby Lake ~ Offers not just a meal but a dining experience, with Chef Aldo specializing in classic northern Italian cuisine. His menu features fresh Oceanwise seafood, wild game, pastas, salads, and vegetarian options. Reservations recommended. 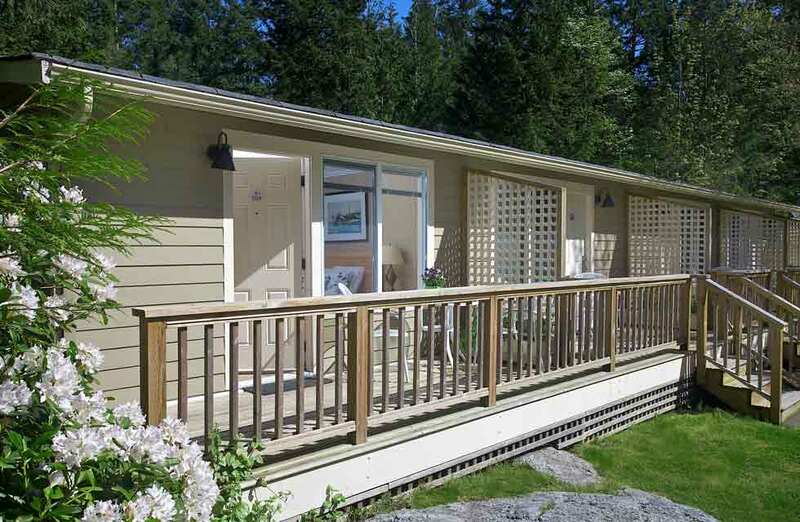 • Rockwater Secret Cove Resort, 604-885-7038, Ole's Cove Road, Halfmoon Bay ~ Casual West Coast dining. Reservations recommended. Stonewater is not your average motel. The owners' and managers' love for the establishment and respect for the guest experience shines through in many ways. The grounds are lovely and tidy. 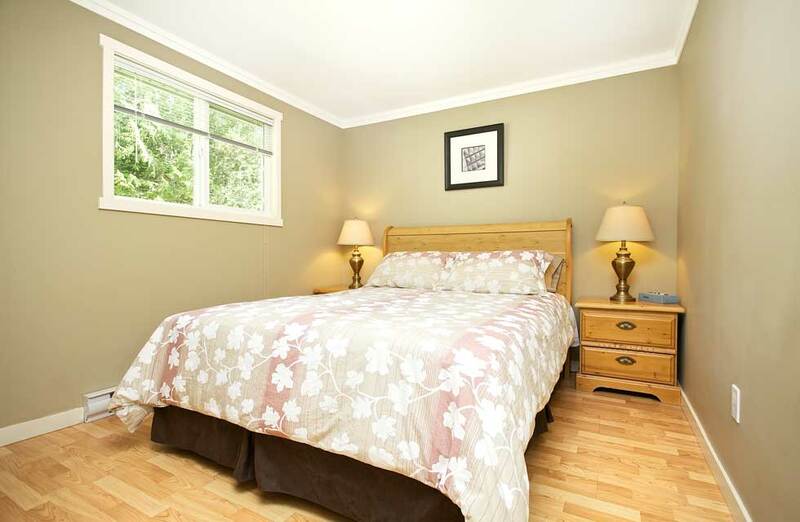 the rooms are breezy, fresh and clean. 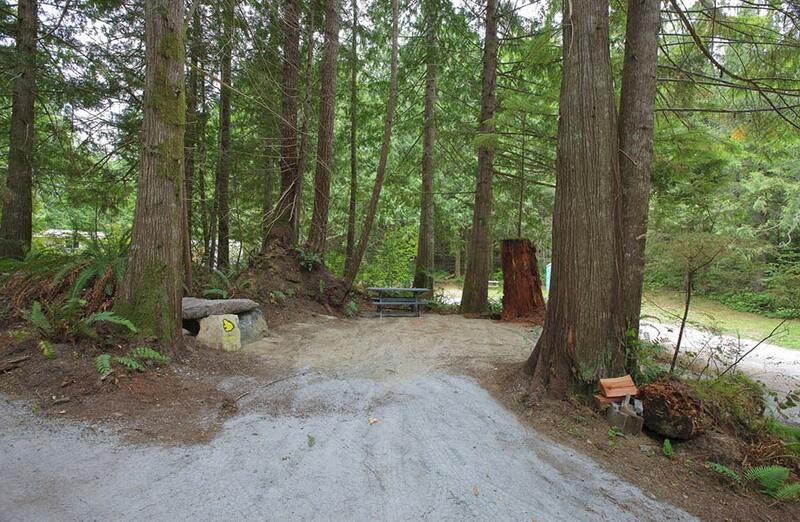 With a well equipped kitchen, on site firepit and BBQ there is something for every guest. These and other personal touches, along with owners' unending care throughout my stay, equals that of the 4- and 5-star hotels I regularly frequent for business purposes. In fact, in some ways, The Stonewater exceeds 5-star service. I and the other eight in the crowd want to thank you for the lovely motel of yours we stayed at last Tuesday night. We decided to stay only the one night but now reflecting, we wished to have stayed two. A great coastline. A lovely spot to enjoy. 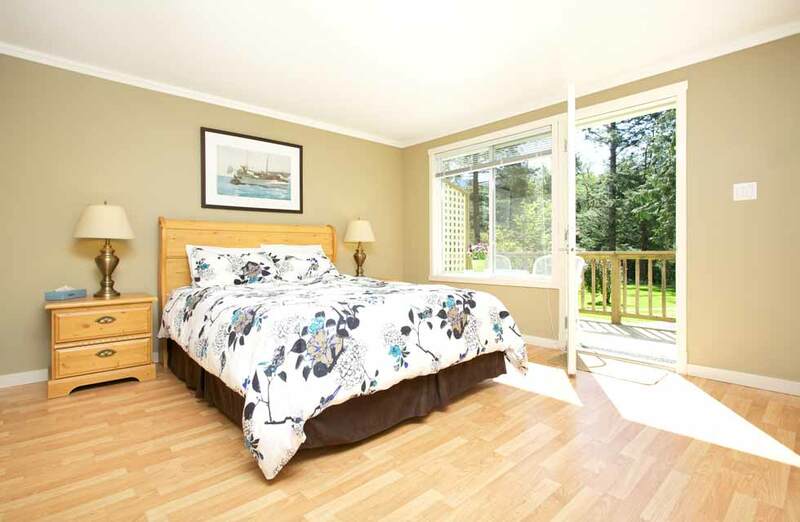 The rooms and deck were really nice and we certainly appreciated the barbecue you provided. 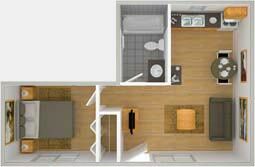 We also noticed the detailing that you put into the rooms. My wife and I had the pleasure of staying in one of your units this past weekend. We were having dinner on Friday night at the Golf Course and the staff there suggested we try to get a room at Stonewater as we were wondering where a nice place to stay would be. We were lucky enough to get the last available unit #101. 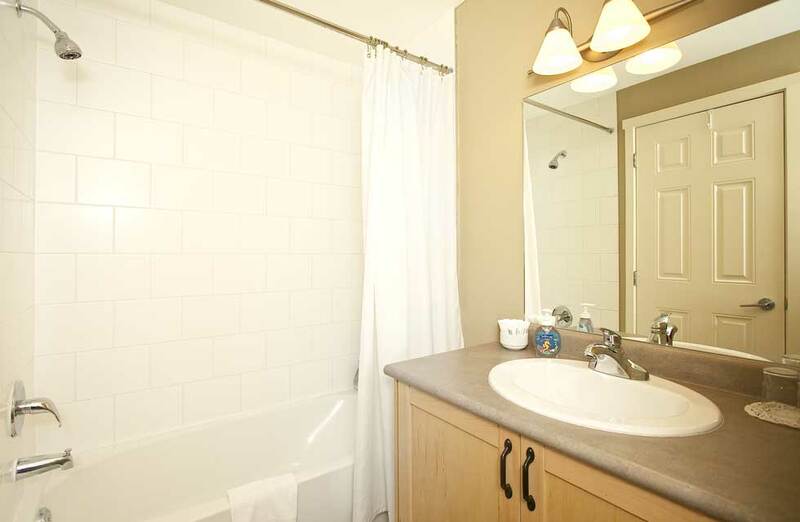 This unit has to be one of the most well stocked and cleanest units we have ever been in. It was a true delight and it was so well decorated. Very nice and what a treat. 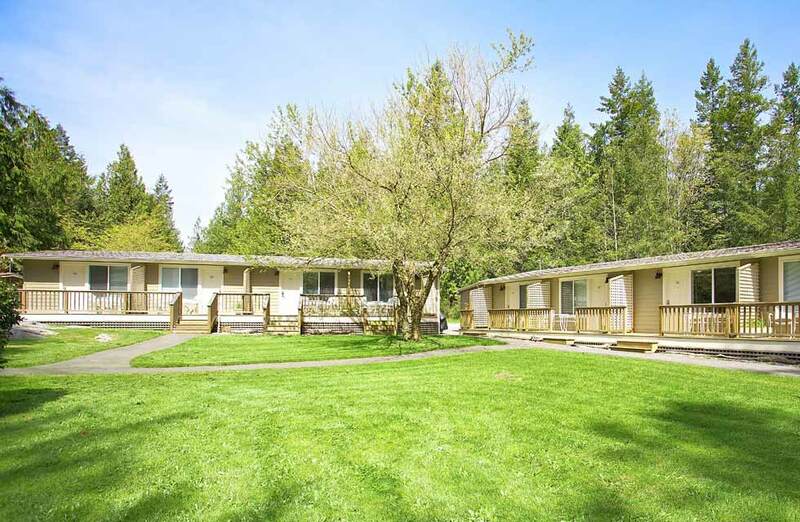 We both want to pass on our compliments for a job well done to you and your staff and if we or any of our friends are heading up to Garden Bay area again we will be sure to tell them to book ahead and stay at Stonewater. We look forward to hearing from you! Please contact us for more information, and to book your suite.